The hotel is 5 mins from the Palmeraie with its 18-hole golf course. 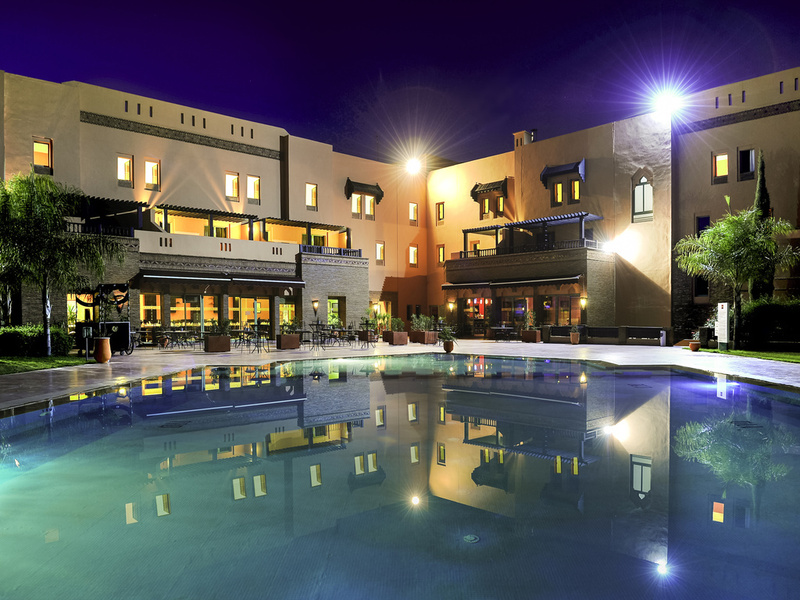 10 mins from the city center and 20 mins from the famous Jemaâ El Fnaa square. Usual good Ibis staff hospitality. Great that hotel has pool. Unfortunately our room was very noisy as it was right next to a main road. The other side of the hotel would have been quieter. Lovely Hotel..large comfy bed.. great staff.. The staff is great. Thanks to guys who work during the night and that work for many years in the hotel. Good stay as usual tks to all team starting with the front desk , food and beverage staff and housekeeping .. The floor in both the rooms we took were dirty. The shower drain was so slow that it flooded the entire bathroom. The stay was OK, the staff very friendly and professional, the food was correct. The rooms need some refurbishing (specially the floors and the bathrooms) but it's averall clean and confortable. Spot on. Great place, a little tired in the decor but otherwise it does Ibis very well. Although somewhat out of town centre it has public transport links from the door, a significant supermarket and shopping 20 mind walk twd town and a 24 hr store next door. Staff and services spot on. The hotel felt old and dirty, there was fungus in the bathroom and sink was blocked. It was the worst stay in any Ibis hotel. I used to travel abroad a lot and whenever I can I chose to stay in Accor hôtels. But this time I was with my little family and was a bad experience. The welcoming wasn't good. You don't feel to be a member of Accor club. Thé receptionist didn't give us the welcoming soft drink as I am a silver member, until. I asked for it. In the bar the waiter was looking to me in a suspicious way when I showed him the voucher and told me that he needs the confirmation of the manager...he finally gave us the drinks once he got the confirmation!!! The rooms were not clean enough and of the rooms smells cigarettes. In the rooms there was no baby bed ( I was with my two kids one is only one year old). I asked the reception and answered me that they don't have availability of baby beds but promised me to get one by the end of the day. When we can back from outside around 21:00 I asked again for beds and told me they don't have. When I yielded a little bit he managed to get one....and the person who brought it to me told me that he is sorry for the delay (about 20 mins) because he prepared one and left it in the corridor and someone took it so he had to go back and get a new one...if this means something it means to me that they have baby beds available and the receptionist didn't want to give to me until I yielded... Next time I will never stay in Ibis Palmeraie and i'll twice before to book any Accor hotels because right now I'm unsatisfied because of my last experience. And I'm sorry but I will put my comment on it in trip advisor for other travelers.